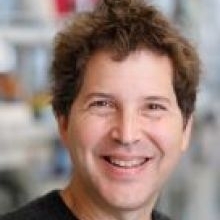 Dr. David Baker is a biochemist and computational biologist who has pioneered methods to predict and design the three-dimensional structures of proteins. He leads the 80-plus member Baker laboratory. He serves as the Director and Safety Officer of the Rosetta Commons, a consortium of labs and researchers that develop biomolecular structure prediction and design software. He is a Howard Hughes Medical Institute investigator and a member of the United States National Academy of Sciences. At the UW ADRC, Dr. David Baker leads Project 2, 'Rationally designed modulators of the amyloid-beta aggregation cascade.' In this endeavor, his lab group at the Institute for Protein Design will use advanced computing techniques to design proteins and peptides that can alter harmful disease processed, preventing the toxic proteins from abnormally folding and accumulating in the brain. These artificially created peptides and proteins will be useful for developing new Alzheimer's disease treatment strategies.